A wonderful climber from northern Africa to grow up your back wall. 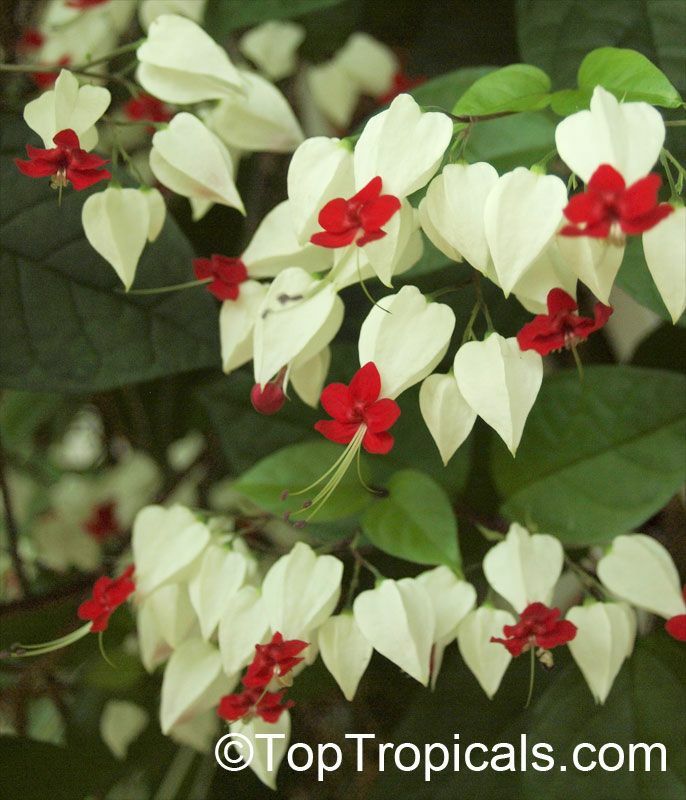 It has large pointed leaves and the flowers are fabulous long-lasting white and red confections that turn pink as they age. Needs sun and humidity to flower well. Cannot stand winter temperatures below 16 degrees centigrade.